May 17, 2013 (Part I, Part II) – Part II: audio only. 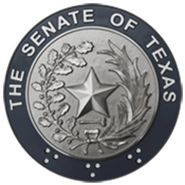 Review the Texas Public Information Act to ensure that access to public records and information by the public remains fully transparent, but that governmental entities have the authority to protect the privacy interests of citizens, including primary and higher education students, from improper public disclosure. Review and make recommendations on improving the transparency of information available on state websites regarding state expenditures, reports, and contracts, including a comparison of how similar information is provided by other states.